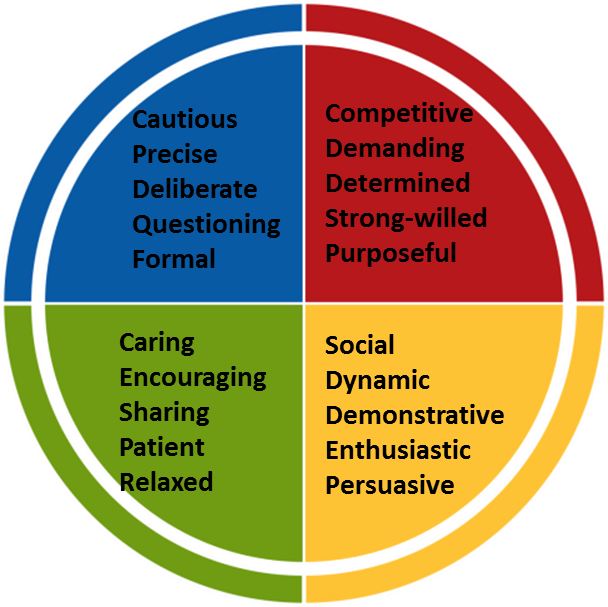 The Myers-Briggs Type Indicator® (MBTI) is a psychological test that has become well known and is widely administered. Carl Gustav Jung’s theory of psychological types is at the core of the Myers-Briggs. However, Jung’s theory was interpreted by the mother and daughter team of Katherine Cook Briggs and her daughter, Isabel Briggs Myers, who created the test for the MBTI. 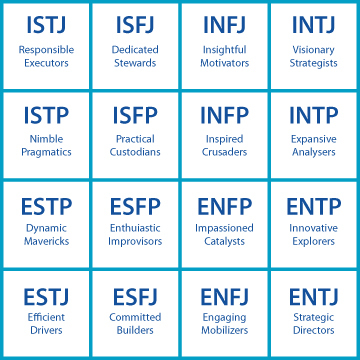 Although the MBTI was based on Jung’s theories, team Myers-Briggs didn’t use every notion in it and created their own twists here and there. For example, team Myers-Briggs added a “judging-perception” dimension that was not a part of Jung’s original theory. The judging-perception is also referred to as “J vs. P.” Some say that because of the addition of “missing” portions to Jung’s theory to the MBTI both theories have their problems. According to Dictionary.com, psychometrics is the measurement of mental traits, abilities, and processes. By this definition, the MBTI has serious issues in these areas. Furthermore, the scores aren’t really consistent. A test taker could end up with 20 extraversion items and no introversion items, which would result in their being classified as an extravert. However, a second test taker could get a score of 11 extraversion items and nine introversion items and still be classified as an extravert, too. This is a perfect example of the test having little to no gray area to account for the uniqueness of human beings. Is the MBTI Still a Good Test? Absolutely! The best use of this test might be for self-reflection. If you have never taken a personality test to see how people can vary in their personalities, or how to work with people who have different perspectives than you do, the MBTI is a great source. Subsequently, any test taker should not over-interpret the test results and should remember the limitations of the test mentioned above. There are quite a few other psychological type tests that can be used as an alternative to the MBTI, or even stand in place of it. A popular test that is gaining ground fast is the Insights Discovery® Personal Profile. Like the MBTI, the Insights Discovery Personal Profile is also based on the same teachings of Jung. So a person being extraverted or introverted still plays a major role in this test. However, there is far greater room for a gray area, and this test does not put humans in boxes with no wiggle room. Insights Discovery Personal Profile gives its takers a greater understanding of themselves, which includes their strengths and weaknesses. It also allows the individuals to develop effective strategies for interacting with others and can help them respond more effectively and be more aware of the environment in which they live and work. This test also ties right into the Four- Color Wheel Theory. This test helps people learn what type of person they are by suggesting four colors (Cool Blue, Fiery Red, Earth Green, and Sunshine Yellow) with which to be associated. However, no one is put in a box and labeled as just one color. A person is allowed to “lead” with one color, but also have attributes of other colors as well, which makes it very unique. So if you are a business and are ready to discover yourself by having you and your employees take our Insights Discovery Personal Profile and learn about the Four-Color Wheel Theory, schedule me, Scott Schwefel, as your keynote speaker. I will come to your group and address the differences in personalities in a truthful, fun, and easy to understand way. Follow me on Facebook, LinkedIn, and Twitter to share my blogs with the color energies you work with! Have you ever had a boss that you hate, but sometimes you love them? Well, this love/hate type of feeling you may have for your boss has the potential to turn into far more positive interactions with them, and less negative interactions with them where you walk away feeling horrible and small. How can you achieve this? All you have to do is read up on the Fiery Red energy and master it! What is Fiery Red energy? The Fiery Red energy is like no other energy color out there. The red color selected for this energy kind of spills the beans on what personality types this energy is referring to; the fiery part of the name also gives it away. What is there to love about the boss who leads with Fiery Red energy? Believe it or not, the boss who leads with Fiery Red energy can actually be extremely useful in that they will fight tooth & nail for you, and shield you from any nonsense coming down from upper management. If you have a boss who leads with this color of energy, it is unlikely they will have you doing mindless work that is not going to help the overall goal, which is always the completion of the next big project. Also, if another business segment within your organization is ripping your team or speaking in a not so flattering matter because of a mistake you made, this energy type will defend you and the team almost every time. However, expect them also to rip you face to face when they get alone with you for those mistakes. What is there not to love about the boss who leads with Fiery Red energy? Now that you understand the Fiery Red energy a little more, there is a flipside to this color. If some of their strengths are overused, or abused, this energy can get in its own way and hinder the team’s chances for high performance. For example, on the start of a new day, it is quite possible that after only 10 minutes of being clocked in, the boss who leads with Fiery Red energy will already have left a trail of devastation behind them. With the secretary in tears and other teammates asking themselves, “What did I do wrong?” A boss leading with this energy is prone to lash out, displaying some of the following characteristics when faced with pressure from work. Does your job need a person who leads with Fiery Red energy there? Absolutely! After you gain this person’s trust, you will have a strong ally for life at the workplace. Once the trust part has fully been established, the Fiery Red energy leading boss will understand that your relationship with them is worth making compromises for, and that your points of views are surprisingly valuable and worth listening to. Having this strong personality type as the boss or just as a team member is a great move. With this person around, you will know your team has a “rock” that knows how to get things done! Every organization needs a good mix of color energies; especially a Fiery Red color. If you’d like help in identifying this person (s) on your team, schedule me, Scott Schwefel, as your keynote speaker, I will come to your group and address the difference of personalities in a truthful, fun, and easy to understand way. Follow me on Facebook, LinkedIn, and Twitter to share my blogs with the color energies you work with! https://discoveryourself.com/wp-content/uploads/2013/04/logo_scott1.png 0 0 Scott Schwefel https://discoveryourself.com/wp-content/uploads/2013/04/logo_scott1.png Scott Schwefel2015-07-17 21:50:092015-07-21 13:51:07The Gift and the Curse of a boss who leads with Fiery Red energy! Imagine yourself in the position of a hiring manager deciding between two potential new employees. One is obviously more qualified, but the other reminds you of yourself in the way they interact or even take a seat. You weigh the qualifications of both and assess which would be the most valuable addition to your team. You might be surprised to hear that research shows that in this scenario the latter applicant is more likely to get the job. Studies have brought up the idea of a “cultural fit,” an unwritten category of the hiring phase in which an employer looks for someone who matches them on a socially desirable level. Sometimes even making the decision just based on who they can see themselves having a beer with! This does not necessarily lead to the wrong hires in every case, but it raises concern that a biased haze could be preventing a team from growing to its fullest potential.We, as leaders, have a habit of building teams made of individuals who remind us of ourselves. That doesn’t seem like such a bad thing, especially if you’re constantly reminded of your hard work ethic, enthusiasm, and level-headed judgment. However, this mindset when applied to hiring insulates your group from gaining the insight and experience that can only be obtained through employing a diverse range of staff. Lacking the awareness that you are cloning current members of your team also robs you of gauging where your group excels—and where fine tuning needs to be done. For example, your current team may be proficient in achieving client satisfaction with completed projects, but lacks the organization required to meet deadlines. Gathering a group of similar individuals may mean your group consistently delivers good work, but aggravates your failure regarding promptness. This sequence of events would noticeably damage your credibility, and your business will suffer as an end result. We can consider this problem in a more visual way. 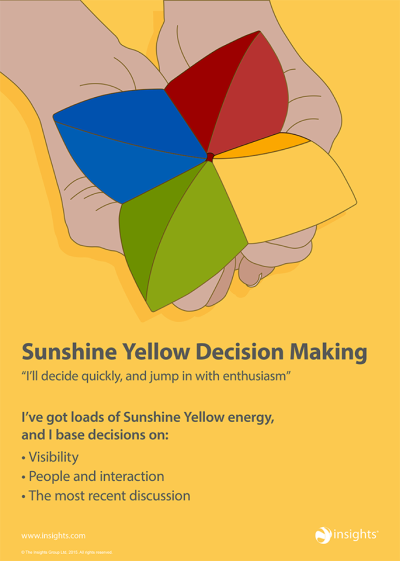 An emerging idea dedicated toward helping professionals build the most well-rounded team possible is the concept of “color energy.” Take a Sunshine Yellow type, for example, a real go-getter who invigorates the staff with visionary ideas and provides a fresh outlook on projects and assignments. A Sunshine Yellow, however, can fall prey to disorganization, a habit of jumping from project to project without giving each its due and closing on those with loose ends. You can mitigate the flaws of the well-intentioned Sunshine Yellow with a Cool Blue type who is more guarded against new visions but performs copious amounts of research on current projects. Fire Red personalities are hustlers, rarely short on confidence, but potentially on patience. Thankfully, we can count on Earth Green leaders to act as pillars of support for the group, providing guidance and mentorship—although they, too, may be a bit traditional in their ways. A balanced team is not a blinding yellow or endless blue, but rather a spectrum of vivid colors and personalities. As a hiring manager, your job is a two-step process. One: judge each applicant’s skill set and weaknesses objectively—as you normally would. Two: make an honest and critical analysis of your current team. Where do we have gaps and who can fill them? You may be inclined to recruit an individual with years of experience with analytics, but if your team already has a handful of those professionals, it may be best for you to hire the applicant with accounting experience. Similarly, you may consider yourself a Yellow Sunshine and be turned off by the sight of a deflating realist. But the success of your team may depend on the grounded Cool Blue who can keep them from flying too close to the sun. This is not to say that hiring an employee who would be an ideal tennis partner is a bad idea. Your job as a responsible employer and business owner, however, is to put the interests of your team first. The work socials come after that. To get assistance on how to hire a well-rounded team, contact me, Scott Schwefel of Insights, and get me on the schedule as the keynote speaker for your next team-building event. To see what I’m up to and get notified of my new blog posts, follow me on Facebook, LinkedIn, and Twitter. For a sneak peek of what you can expect for your next company event, find me on YouTube! In 2015, I will learn more about myself. My unique gifts, skills and passion. I will commit myself to pursuing a career which will allow me to use all of these things to thrive, rather than just survive. 2015 is the year I have been waiting for to make all my dreams come true. www.discoveryourself.com will help you get there.